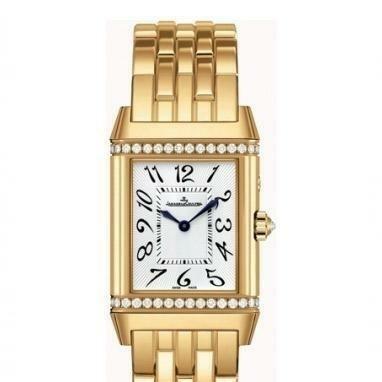 This watch is also known as: Q3001420 , 300 , 3001420 . 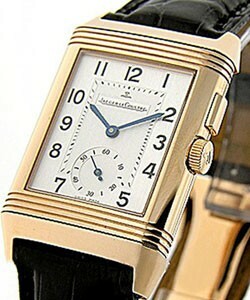 Jaeger LeCoultre "Reverso Grande Date" 18kt Yellow Gold Mens Watch. 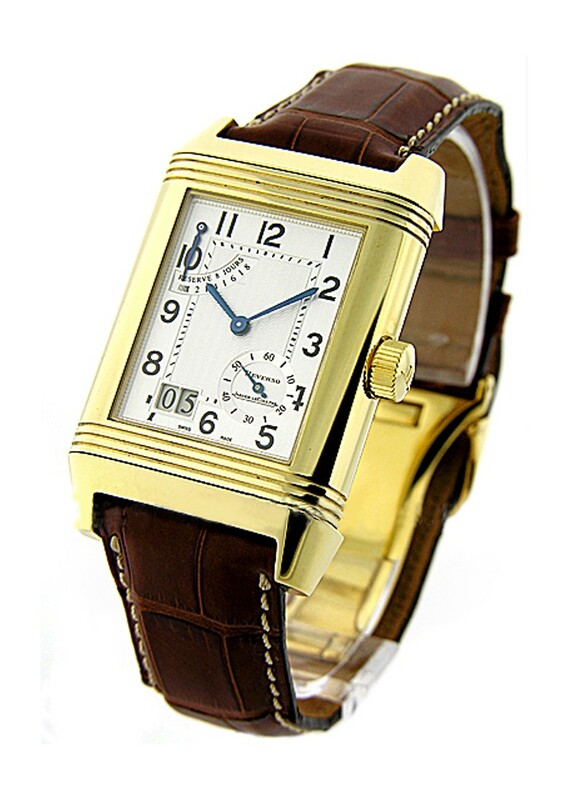 This simple yet very elegant dress watch Jaeger LeCoultre "Reverso Grande Date" Ref No:300.14.20 (Q3001420) features a 18kt yellow gold case. Brown leather strap.Silver guilloche dial. 8 day power reserve. 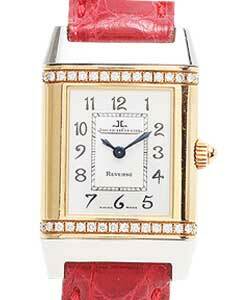 Double window displays date at 7 o'clock position.Small seconds subdial. 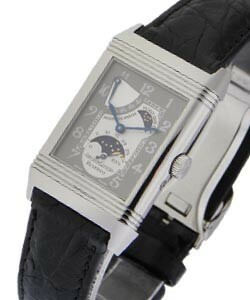 Power reserve indicator at 10 o'clock position. Reverse side shows decorated movement. Scratch resistant sapphire crystal. Manual winding movement. Deployant clasp.Case size 29mm x 46.5mm. Case thickness 12mm. Water resistant at 30 meters (100 feet). 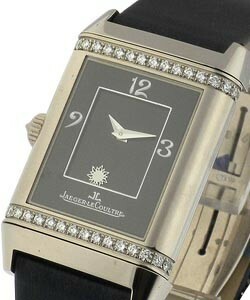 The Jaeger LeCoultre "Reverso Grande Date" watch is a highly recognizable timepiece with a very strong personality.